Welcome in to this week's blog post everyone! Hope you all enjoyed the race at ISM Raceway this weekend! Usually, I use these posts to speak on an over-arching theme that took place during the race yesterday, but today I want to do something different. If you follow me on Twitter (@nascar_opinion) you know I host a variety of conversations during the week. On Saturday, I had some free time, which allowed me to have some open thought on the state of our sport. One issue I continue to discuss with fans is the gimmick of the new NASCAR Playoffs that was first introduced in 2014. Personally, I enjoy the new Playoff system, though I see it's flaws. In the following post, I will lay out 3 possible tweaks NASCAR could make to solve the issues of the modern Playoff system. 1. Points determine the Playoff field. When NASCAR implemented the win-and-your-in concept, the goal was to create intense situations late in races. The idea of a single win locking a team into 1 of 16 Playoff slots, gave hopes to teams that don't traditionally run top 10 to 15. Thus far, in its 4 year history, this rule has already created more than one surprising Playoff entries. Chris Buescher won a rain-shortened race in 2016 which led to Front Row Racing's first post-season appearance in the organizations history. While not as shocking, Ryan Newman surprised fans in 2017 by rolling the dice with less than 10 to go at Phoenix last year... which led to his first win since 2013. While this rule does create a heightened level of excitement when smaller teams find themselves near the front, the truth of the matter is that a win shouldn't lock you into a post-season bid. Before you think I'm crazy, let's consider realistic situations, like Buescher in 2016. Buescher finished the regular season 30th in the Cup standings with an average finish of 26.1. The first driver out was Ryan Newman, who scored eight more top-10's than Buescher and had an average finish of 15.7. Take out your love for underdogs, which of the two drivers truly deserved a spot in the NASCAR Playoffs? Newman. One easy way to fix this, is to nix the idea of win-and-your-in. If you want 16 drivers, the top-16 in points should race for a championship. This eliminates drivers like Newman being on the outside looking in due to a 30th place team winning a rain-shortened event. Yes, I love underdogs, but you can't loose your legitimacy for drama. 2. Shorten Playoff field to 12 drivers. The second method to improve the already exciting Playoff system, is to shorten the field of drivers who are eligible for the championship. 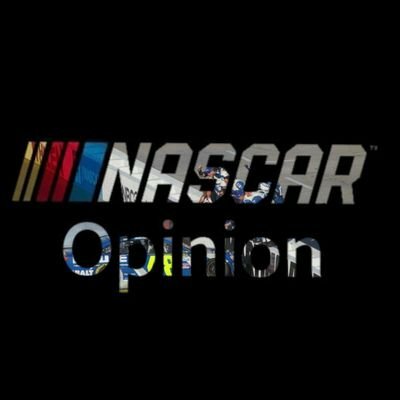 Right now NASCAR allows 16 teams to participate in the post-season, which accounts for 40% of the Cup garage (40 car max). Compared to other sports such as the NFL or MLB, this is high percentage of competitors battling for a championship. In the NFL (National Football League) 12 of 32 teams battle it out for the Super Bowl. That makes up 37.5% of the field in the NFL Playoffs. Similar to football, the MLB (Major League Baseball) allows 10 of 30 teams, which amounts to 33%, to make a run for the World Series. Ask yourself... does nearly half the field belong in the championship hunt? No. At most, 10 drivers generally have a shot for the championship. Don't believe me? Make a list of this year's contenders. Either Keselowski, Harvick, Elliott, Hamlin, Blaney, Ky. Busch, Logano, Larson, Johnson, or Truex will win this year’s championship. If you move the field to 12 drivers, it allows for 2 wild cards to try and make noise like Tony Stewart did in 2011. Worried about the elimination ratios? Don't, simply tweak the rules to 3 drivers being eliminated every three events instead of 4. You would have the round of 12, round of 9, round of 6, then finally, the championship round with 3 drivers vying for a title at Homestead-Miami. This eliminates “riff-raff” in the Playoffs and combined with idea #1, puts the best contenders in a gauntlet for the championship. 3. Drivers keep Playoff-points through Homestead. The biggest issue with the modern Playoff format is that drivers can essentially win the first 35 races of the season, but lose the championship by finishing 2nd at Homestead. This is where my personal issue with today's system exists. I genuinely dig the ingenuity of the format, but the idea of one team winning a ridiculous amount of races during the season and having no advantage in the final race bothers me, so here's my solution. Drivers carry their Playoff-points throughout the Playoffs, including Homestead. Truex would walk into Homestead 19 points ahead Harvick, 24 ahead of Busch, and 41 ahead of Keselowski. Not only does this promote consistency during the regular season & Playoffs, but it makes stage racing even more relevant. Racing during the title race would also escalate, because drivers would NEED stage points to try and close in on the points leader. Let's say Harvick wins both stages and Truex finishes 4th in stage one & 6th in stage two. Harvick would close in on Truex by 8 points, leaving the 78 with an 11-point cushion instead of 19. The goal behind this third and final solution is to reward consistency. NASCAR tries to do this with Playoff points, but they lose all value during the most important part of the season. This small tweak could solve the biggest underlying issue with today's format. If you want a true champion, reward true consistency. Thanks for reading! These are the solutions I could think of, but make sure you share yours with me on social media (listed below)! I truly believe that one, two, or all three combined solutions could generate a more fair and balanced Playoff format. Hope you enjoyed, have a great week!